C.H. (Remco) van Rhee is Professor of Comparative Civil Procedure and European Legal History at Maastricht University (Netherlands) and director of the program “Foundations and Principles of Civil Procedure in Europe” of the Ius Commune Research School. He studied law at the universities of Leiden and Edinburgh, History at the university of Leuven and Psychology at the university of Leiden. 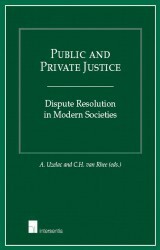 He defended his PhD thesis on early-modern civil procedure at the university of Leiden, where he received his doctorate in 1997. His PhD thesis was awarded the prix d’excellence of the Praemium Erasmianum Foundation in 1997. Van Rhee taught Roman Law at the University of Leiden (1991-1994) and Property and Civil Procedure at the University of Utrecht (1994-1998) before being appointed at Maastricht University. He served, amongst other things, as head of department, member of the science committee of the law faculty of Maastricht University, academic director of the Maastricht University European Law School Master program and chairman of the Education Board of the Maastricht University European Law School. He held visiting positions at various universities in Europe, the Americas, Asia and Africa. He is a member of the several editorial boards: “The Legal History Review”; “Pro Memorie: Bijdragen tot de Rechtsgeschiedenis der Nederlanden” (“Dutch Legal History Journal”) and “Tijdschrift voor Civiele Rechtspleging” (“Dutch Civil Procedure Journal”). 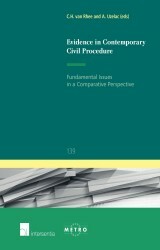 He is general editor of the History of Private Law series and of the China & Comparative Law series. 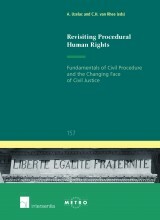 He is founding member of the European Society for Comparative Legal History, Council Member of the International Association of Procedural Law, Member of the Wissenschaftliche Vereinigung für Internationales Verfahrensrecht and fellow of the Maastricht European Private Law Institute (Mepli). He is also an elected member of "Maatschappij der Nederlandse Letterkunde" ("Society of Dutch Literature and History").